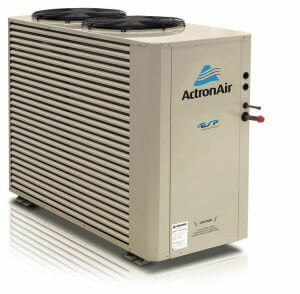 Actron Air Esp Platinum is the most advance product in the Actron Air ducted air conditioning range. The Actron Air Esp Platinum ducted air conditioning system is the most energy efficient within the range. The platinum systems also comes standard with a true digital compressor. The unit will do a fantastic job of heating or cooling your home or office in Perth. The Actron Air Esp Platinum system can be fitted with temp sensors therefore you can control the individual temperature within different rooms. Temperature Control: The Actron Air Esp Platinum is able to control and set different temperatures in different rooms all at the same time. Variable fan Technology: With Variable Fan Technology, ESP Platinum can adjust its airflow so that it operates right down to 20% of total airflow capacity, delivering just the right amount of conditioned air to the zones you want it to. Digital Compressor: unlike standard inverter compressor the Actron esp platinum does not use a step rest and stop method. The esp platinum uses a true inverter compressor with is a lot more accurate and reaches the desired setting quicker. This means more comfort and better energy saving. With the Actron Air Esp Platinum you have the option to upgrade the control system with the Actron Que controller.